Got it. Thank you Ness. The best way is to place a simple door and use Surface Split to divide it vertically into 2 panels. Then use the Surface Split options to add edging and hardware. If you double click a counter top it will bring up it’s properties menu. In the Edge section you can add edging and over lap. 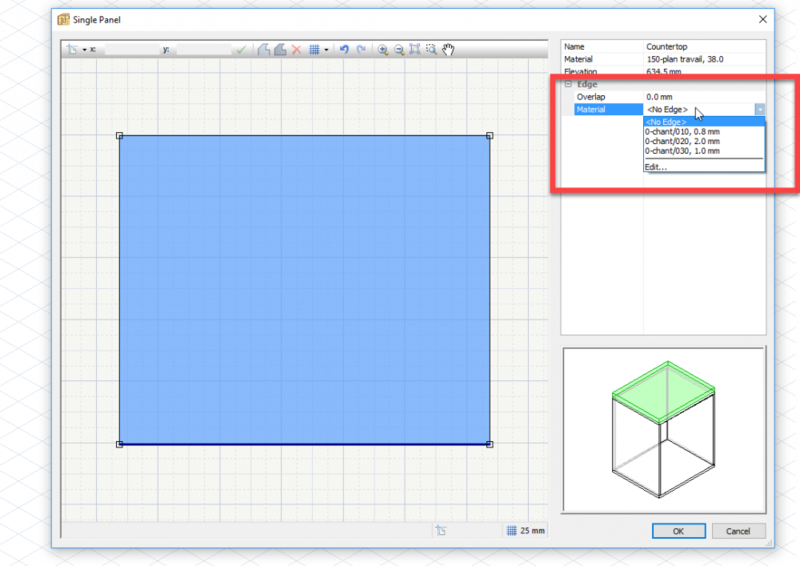 If you make fillers with the project mode Fillers command it’s not possible to add edging, however we suggest that you create fillers using a cabinet with only one double back panel. This make it easier to place the fillers where you need them and and you can add edging as you want. 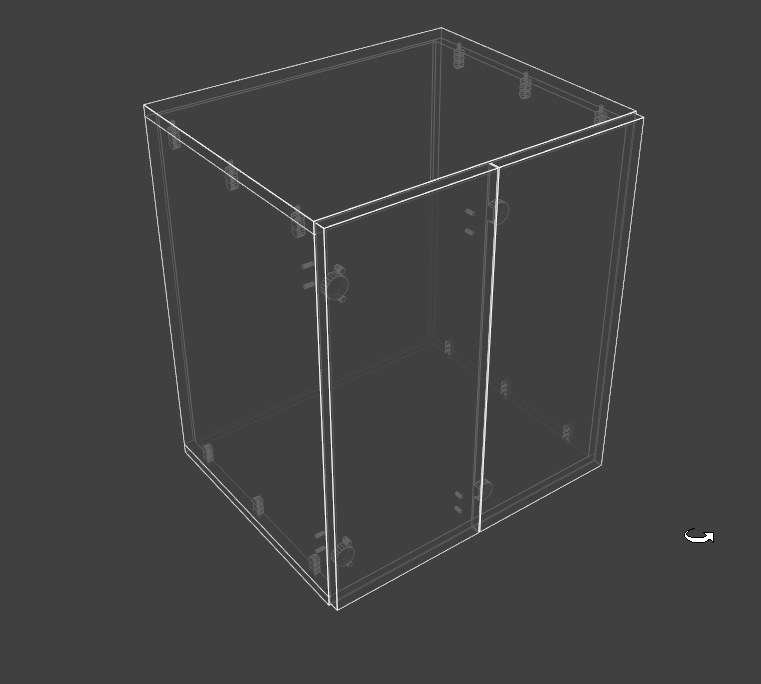 We are going to create a cabinet with 2-wing folding doors. Is there any other way to put fitting link on double doors? 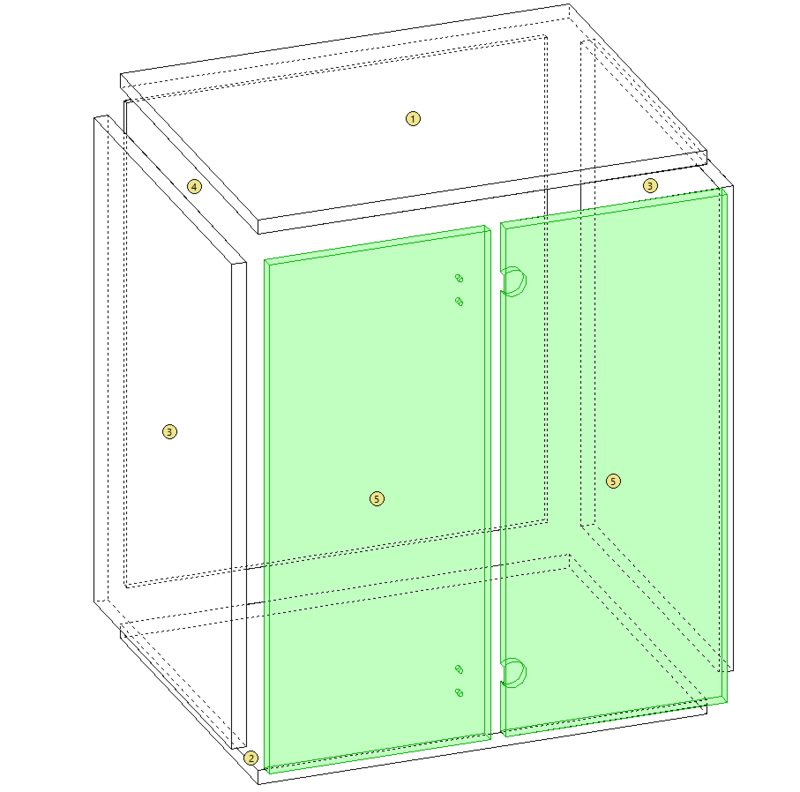 I think it is possible to use tooling(or single panel fitting) individually but I am not sure if it’s the correct method. And if I may add, I don’t see that it’s possible to put edges on countertop and fillers. Also on how to overlap plinth. Sorry for the series of questions specially those past few weeks. Thank you for helping us. We learned a lot from you.